It's been a few days since I posted last. SORRY! But here is a fun card, I think. :) It's not my fave creation ever, but it does have BUILD-A-BRADS!! I LOVE LOVE these things! And anyone that knows my love of this accessory knows I will buy any set that has an image that would look good in one. That is the reason I bought the set, "Circle of Friendship" from Stampin' Up! The middle sayings in the inner circle of the stamp punch out exactly with a 1/2" circle punch (the size needed for the Build-A-Brad base). So I had to have it when I found that out. And this is the card that was created when I got the set. Anyway: there is lots of dimension in this card, and I love that. Plus, lots of texture. I punched 2 scallop circles, and then cut in the valley of each scallop towards the center. So that gives the "petal" look. I should have sponged each edge, to give even more dimension, but I didn't. Oh well...next time. :) Anyway: then I love doing grass like this as well....so much fun and so much texture! Then there is embossing, ribbon, dimensionals, etc! Enjoy! All supplies Stampin' Up! I cannot take credit for this fabulous idea. I would never have thought of this. :) I got this from Patty's blog...she is AMAZING!!!! 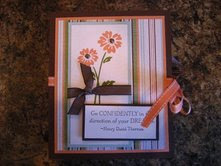 Anyway: she made something like this for her Stampin' Up! cruise to keep a journal of things. I thought it was a GREAT idea. And it's made out of ENVELOPES! They are the short end envelopes that Stampin' Up! sells, just covered with Designer Series Paper. I made mine with the Summer Picnic DSP, the Die-Cut Blooms in the Mini catalog, and my ever favorite...Tart and Tangy stamp set! :) The total project has 3 envelope sleeves that hold the card stock insert piece (pull the round tab punch and out it comes! :) )that you could write on, put pictures on, however you wanted to use it. Then there are an additional 2 card stock pages. It's DARLING in real life! All supplies Stampin' Up! I had to make some invites for a Mother/Daugther activity and I have a deadline to have these done by tomorrow at church. :) And today was a busy day so I sat down to work on them tonight. I knew I wanted pink and brown and I didn't want to be up super late doing them. So this is what I did. It's a pocket card (as I'm sure you can tell) and the invite info is on the inside piece. The "You're Invited" is embossed. And it's hard to tell, but behind the inside information piece there is another piece of the Berry Bliss DSP. But it's white with Pretty in Pink dots, so you can't see it so clear. :) But it looks cute in real life! All Supplies Stampin' Up! Well we just had night #1 of our Mother's Day class. It was a full showing, and we all had a blast! I just wanted to remind everyone of how cute these cards are. (And get better pictures out there. :) When I first posted this, I didn't put good pics of the cards on there. So here they are! :) ) I LOVE, LOVE, LOVE the "Live Your Dream" stamp set in the Occasion's mini and just felt I had to do a class showcasing this set. :) I heard many times tonight, "I didn't like this set in the catalog. Now I have to have it." The Groovy Guava card's main image is done on glossy paper, embossed, and then brayered over with Groovy Guava ink. Too much fun! And I LOVE those ribbon slides that are in the Hodgepodge Hardware in the mini. Anyway: I thought these projects deserved another spot on my blog. 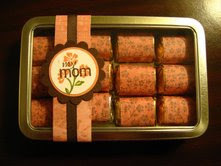 :) We also made a darling nugget tin filled with chocolate nuggets for mom as well. We made a few extra kits so if anyone is in Salt Lake tomorrow night (Friday night) and wants to come, let me know! :) Or...as always...feel free to order a kit by mail! You'd get all the supplies needed to make the projects. Everything will be stamped and ready to assemble. Just email me at designwithink@gmail.com Enjoy the pics! 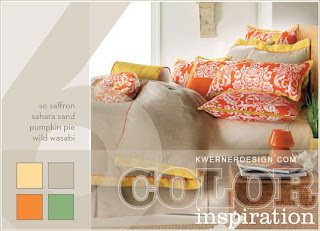 It is fun doing these inspiration challenges because it makes me think outside my color combo box. It also shows that you can use ANYTHING as inspiration for your cards/artwork. Makes you start looking at things differently! :) Oh...and the big "thanks" on the card is glittery in real life. It doesn't show up so well in the picture! Sorry! All Supplies Stampin' Up! Simple, yet oh so pretty! I made a card with this layout at a Stampin' Up! meeting last year using now retired sets. I LOVED the layout so I had to make it fresh and current. And what's better than a pink and brown color combo, right?! :) So this is what was born. I actually swaped some of these at Leadership, so maybe you got one if you were there! :) All Supplies Stampin' Up! I have had both of Stampin' Up! 's star punches for awhile, but just haven't put them to good use. I saw THIS CARD on Andrea Walford's blog, and I knew I had to use them. I just changed the Designer Series Paper used and the colors and then added a scallop edge on the bottom with a corner rounder. (Sorry....you can't really see it that well in the photo!) I love this layout and it would be great for boy birthday or change the greeting and make it boy anything! :) I always look for good boy cards, so I am so happy she posted this one! Thanks Andrea!!! Oh..the small stars are up on dimensionals so there is some dimension. All supplies Stampin' Up! Sorry I haven't posted in a few days. My mom has been in town, my friend came into town, and just a lot has been going on. But I had my club day this Saturday. I wanted to have a thank you for them, so I made one of these for each of them. They are super cute, don't take a lot of time, and so fun and summery. Hope you enjoy! All supplies Stampin' Up! Looking for the perfect Mother's Day gift? How about a handmade stationary set and a darling nugget tin? 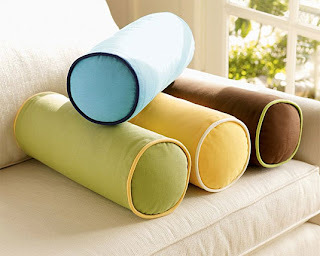 That's what we are making at our next class. We are making this stationary holder. 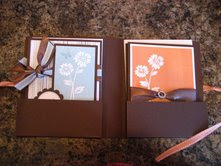 Inside has two pockets that each hold 2 cards and coordinating envelopes. This class is being offered three times at three different locations. The dates are Thursday April 24th (in Murray, Utah), Friday April 25th (in SLC, Utah), and Saturday April 26th (in Kaysville, Utah). If you are in any of these areas and would like to attend, please just email me at designwithink@gmail.com to register. All supplies for four complete cards (2 each of 2 designs), 4 coordinating envelopes for the cards, a nugget tin, 12 chocolate nuggets, all supplies for decorating the nuggets and tin, snacks, door prizes, great special deals for attendees only. All you have to do is bring your own adhesive. If you are not able to attend any of the above listed times, but are still interested in having a set of these items, we do offer this class by mail. You may purchase a kit that will give you all the supplies, images stamped, directions etc. You will just have to put them together. Or you may choose to purchase a completed set of these projects (you would receive them fully complete) for an additional $5.00 fee. ****Bring a friend! If you bring a friend that I have not met yet, you and your friend will receive a special gift! This is for you, Matty! Well if my brother, Matt, requests something, he's got it! :) He posted a comment asking where his birthday card was, so here it is! This is his birthday card that I made him. I actually bought this stamp set just for his birthday card. So I'm sure he'll see the images in this set and the "Wanted" set for years to come. He's not quite a cowboy yet, but he wants to be. :) As soon as he owns that ranch of his with his horses, he'll be well on his way! :) Anyway: since this was a brand new set for me, I was kinda low in thoughts for inspiration. So I went to the SCS gallery and found THIS CARD. Voila! Matt's Birthday card idea. :) So THANK YOU cardjunkie! And Happy Birthday, Matty! Love you! All Supplies Stampin' Up! You need to come up with a card using these colors. This is my translation. Hope it is acceptable! :) All supplies Stampin' Up! I have had these notebooks from Target for awhile, and decided to make one for my club day on Saturday as a prize. So if you're coming...you could win this! (And if you're in the area and want to come, let me know! :) All are invited! :) It has a rubber band that goes around the bottom, but for picture sake I didn't pull it from the back of the notebook to put it around. But...I do love that it has it. ANYWAY....I have had this chipboard for awhile so I decided it would be a fun time to use this piece. I covered it with Chocolate Chip craft ink and then embossed it with Glassy Glaze Enamel Embossing Powder. It turned out really thick, glassy, and wonderful. :) I really love it. Sorry that I couldn't get a good pic of it. (Any tips on how to get a close up image without it blurring so bad?!) The "from the heart" saying isn't this slanted. :) And the Berry Bliss Paper (hard to tell in the pic) is sponged with Purely Pomegrante Ink on the edges. Then the chipboard piece is up on dimensinals to give dimension. (It looks much better in real life.) All supplies Stampin' Up! I love this idea. My friend, Kristine, gave this to me. Isn't she so talented! I love it. We did these for a thank you at one of our classes. Too cute! Thanks Kristine! All supplies Stampin' Up! I went to my cousin's wedding today and so in between the ceremony and reception, this is the card I made. I pretty much copied it from the catalog....with just a few of my own changes. :) And this card looks better in real life. 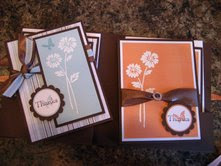 Everything was stamped in Chocolate Chip Craft Ink and embossed with Clear embossing powder. So it looks more elegent in person. It was a beautiful day and they did a beautiful job with everything. All supplies Stampin' Up! I figured since I've had my Pretties kit for months now, it was time to use it more. I have been wanting to try stamping on the flowers in it for awhile, so I did that. It was too much fun. :) Of course I had to pair it with my fave summery paper, Summer Picnic. I had fun with this card. All supplies Stampin' Up! This is a notebook I designed for a class I did for a friend. I LOVE the Spring Fling paper and how...well....Spring-y it is! I'm SO SO sick of winter (I live in Utah and we had snow last week, rain this week, and FINALLY it's suppose to be warm this weekend!) so having something fun like this in my room lightens things up for me. The flowers in the upper right corner are up on dimensionals so it really does add dimension. The picture of the flowers are a little blurry, but you get the idea. :) The leaves are from the 5-petal flower punch. All supplies Stampin' Up! I LOVE this Stamp set, all the images and sentiments. I LOVE the Scallop Punch and use it practically every day of my life in some fashion. I LOVE the new Afternoon Tea Papers in the Occassions Mini, and I LOVE the Chocolate Satin Ribbon (or any ribbon for that matter). So I decided to put them together and VOILA! This card was born. :) I embossed the flowers and then sponged around them to give it more dimension. All supplies Stampin' Up! I wanted to make a pocket card using the Wild Wasabi textured card stock that Stampin' Up! is selling pre-cut and pre-scored. I also wanted to play with my accessories. So I used rub-ons, Die-Cut Blooms, some Designer Series Paper, and ribbon. Too much fun! All supplies Stampin' Up! Usually I am stamping with a specific purpose in mind but this was a, "Let's play with some fun products what should I make" kinda card. I just kinda started stamping, and this is what happened. Hope you enjoy! All supplies Stampin' Up! I made this box awhile ago. But I just LOVE little boxes! So I thought I'd post it. I found the directions on someone else's blog and had to make one! (Try as I might....I can't find it again! I spent quite awhile looking for it, but just couldn't. So if you know who to give credit to, please share!) Anyway: it's the perfect size for a little favor for any event. All supplies Stampin' Up! So this is a take on a gate fold card. I wanted a boyish card since most cards I make might be a bit girly. I also LOVE Build-A-Brads so had to sneak one of those in. If you have never tried one of those, you must! :) The white part you see peeking out is the inside of the card where the greeting is stamped. I used the Circle of Friendship stamp set and stamped the full circle of one of the images. Then I punched out the center with the 1/2 inch circle punch, adhered it on my brad base, and then put the sticky bubble on top. Voila! Custom Brad! :) All supplies Stampin' Up! the Crew Kids Simply Scrappin Kit that I fell in love with. So why not embrace the colors and make a card with it! Of course, the card looks better in real life. I use my Bone Folder to curl the flower petals inward, and then attached it with a dimensional. All supplies Stampin' Up! I love my One Smart Cookie stamp set, and I have been wanting to make some 3x3 cards with it ever since I got it. So I finally did it! It was too much fun. When I was done, however, they looked so lonely. I'm sure you understand. :) So I had to make some sort of box. I am sure you guys have seen a box similar like this (Thank you Andrea Walford! ), but it's a bit larger. So I altered it to make it 3x3 size. I LOVE it, and the cards inside. Too cute! All products Stampin' Up! My dad and brother came to our house for dinner the other night. Instead of cleaning my house, what did I do? Made them favors with my new fave stamp set. :) My priorities are totally in order...don't judge me! :) Here is what I made them! I LOVE the Tart and Tangy set. Too cute! Accessories: Stampin' Up's Designer Series Paper Summer Picnic paper in the Occassions Mini Catalog, Real Red striped grosgrain ribbon, jumbo Pewter eyelets, Real Red 1/4" grosgrain ribbon, Real Red and Old Olive marker, small cello bag. So I have decided to start a stamping blog. I know, it's time. I have plans to update frequently, so check back often! I look forward to sharing ideas with all that read this!